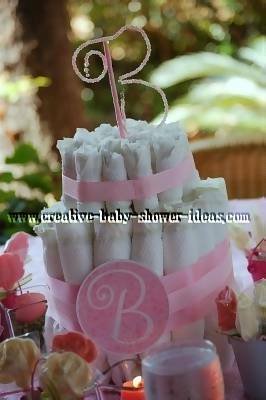 A baby cake is a simple and creative way to give diapers and other needed baby supplies to a new mom-to-be. 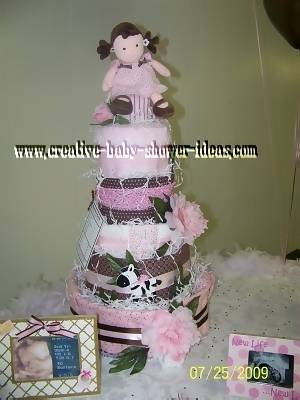 We have hundreds of photos and ideas on our site to help you create the perfect diaper cake gift to use for a baby shower or hospital gift. 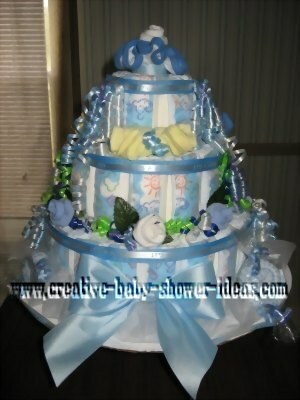 In this section of our photo gallery, we have baby themed diaper cakes. Click on any of the photos below to all of the photos in that category. You can check out our full < a="</a" onclick="return FIX.track(this);"> diaper cake instructions when you are ready to make your own. 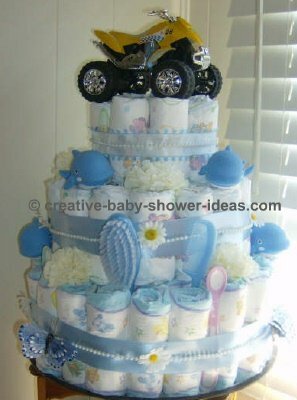 Be sure to stop back and share your diaper cake photos and tips with us. 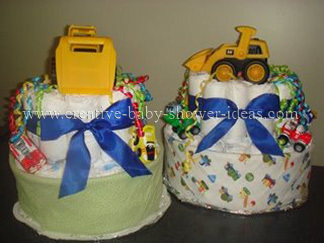 You ideas could inspire someone else to create a fabulous diaper cake!